At The Salt Factory, we have a wide selection to choose from to secure your winter's safety! Our 24/7 availability in the winter months will guarantee our high-quality products to you! 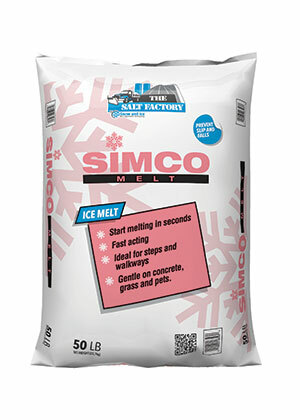 It is capable of melting snow and ice 2 to 5 times faster than rock salt and blended ice melters. Excellent in generating melting heat upon contact. 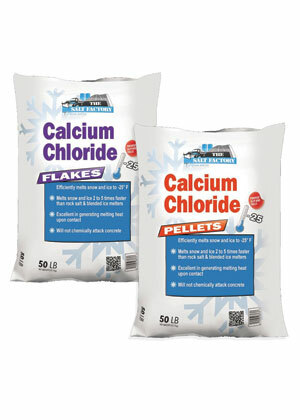 Calcium Chloride pellet is the best and most efficient ice melter in the industry. Available in pellet and/or flake form. 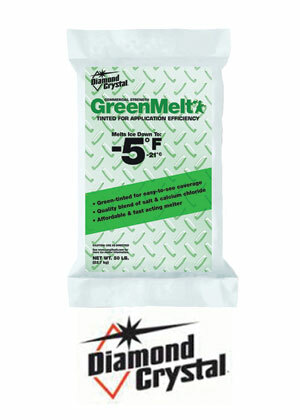 Effective down to -25 F.
Environmentally Friendly - an agricultural based performance enhancer, blended with Magnesium Chloride. Beneficial to Your Health - Reduces dust clouds associated with the use of untreated salt and is safe for Pets. Save Time, Money and Labor - Magic Salt® has a veneer of viscous material enabling it to adhere better to roads and walkways reducing bounce and scatter, and providing better traction. Magic Salt® won’t leave behind a stone or sand residue, making spring cleanup simple. Economically Superior - Since it works better and lasts longer, less Magic Salt® is required to displace an equal amount of ice or snow than any other commonly used ice melter. 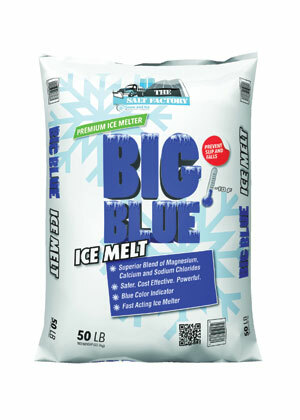 Improved Working Temperatures (-22°F) – Works better at lower temperatures and keeps snow and ice from bonding to pavement. Corrosion Protection - Use of Magic Salt® reduces the corrosive nature of rock salt, thereby protecting your valuable equipment. Won’t Cake or Clump - Magic liquid prevents the salt from freezing and acts as an anti-caking agent, hence avoiding the caking or clumping issue associated with rock salt - saving your spreader from damage. These products below available while supplies last. 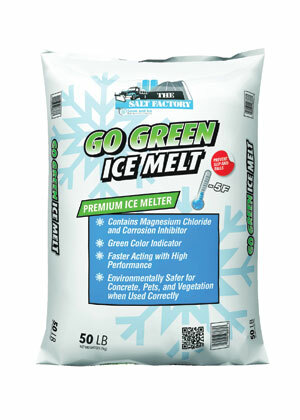 The improved GreenMelt® ice melter is commercially balanced to give sidewalk and parking lot crews a critical 20-minute jump start from its calcium chloride, coupled with 60+ minutes of extended melting action from its sodium chloride.